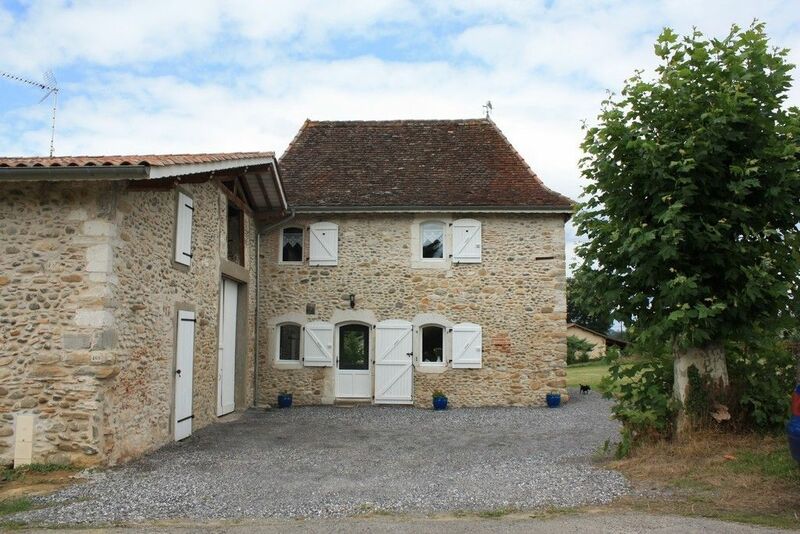 Character house, completely renovated, Castagnède, peaceful village on the edge of the Gave Oloron. Ideal location, between sea and mountain and near Spain. A greenway 500m from the house will allow you to make cycling and walking in peace. offer attractive packages for spa guests. First floor: bedroom (bed 140), bathroom - WC, corner office. 2nd floor: spacious mezzanine with 2 beds 90. Comfort: reversible air conditioning, dishwasher, washing machine, oven, induction cooking Pl, fridge-freezer, microwave. microwave, TV. INTERNET CONNECTION. Je recommande vivement cette jolie ferme où nous avons séjourné 3 semaines lors de notre cure thermale. Habitation rénovée avec goût, lieu propre et accueillant, on s'y sent comme à la maison! Nous y retournerons sans hésiter lors de notre prochaine cure thermale! D'ailleurs nous y retournons l'automne prochain ! Elbows The house is Castagnède, quiet little village, near the Gave Oloron. Near Salies de Bearn a spa town known for the virtues of its salt, it will ensure comfortable and relaxing stay for a family vacation or at a spa. Nearby (6km), golf, tennis, swimming pool, casino. In the village, swimming in Gave, hiking or cycling on a greenway (200m from the house.) Safely. SAUVETERRE de Béarn, 10km, medieval town inviting you to discover and ride on the island of Glère. NAVARRENX, ranked among the most beautiful villages in France, is a city bastion drawing up its ancient ramparts.